Dr. Meggie is back! Meggie Smith made her Ali on the Run Show debut last year, when she was wrapping up her OB/GYN residency at the NYU Langone Medical Center in New York City. After graduating, Meggie moved to California, where she’s currently pursuing her fellowship in reproductive endocrinology and infertility at the University of Southern California. On Part II of this two-part episode, Meggie answers listener questions about fertility, infertility, and giving birth, plus all kinds of personal stuff, like what med school is really like, what it takes to gross her out, how to date when you’re constantly on call, and whether delivering babies every day makes her want one more or less. And listen to the very end, because the last question of this episode might be my favorite. 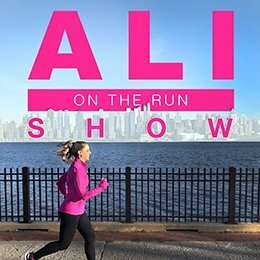 2 Responses to "Ali on the Run Show Episode 63: Dr. Meggie Q&A Part II: Fertility, Infertility, Labor, Delivery, & Advice"
I loved this episode! I have no plans to ever be pregnant and I still loved it. “Be open minded and bring snacks” is my new mantra for every weekend/workday/vacation/veterinary appointment. 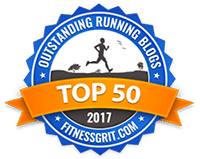 Just wanted to say thank you for your great podcast, which has motivated me to get out on some of my favorite runs this year. Keep it up!